Medical cannabis may be legally cultivated by qualified patients in California under Prop. 215, with a recommendation from a licensed physician. Under AUMA, adults over 21 may cultivate six plants per parcel of land in California. Locals may “reasonably regulate” personal cannabis gardens, and the courts have ruled they can ban personal medical marijuana cultivation, which under state law is limited only by the amount that a patient needs. State law allows cooperative gardens of up to five patients. 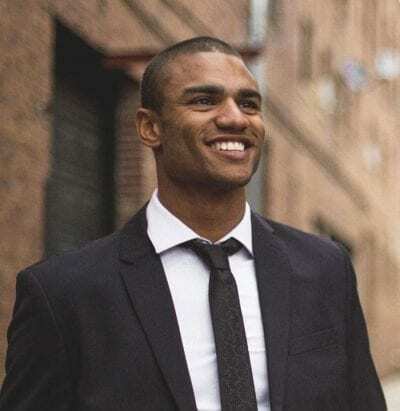 Locals may also license commercial cultivation, which requires a state license from the California Department of Food and Agriculture, and possible permits from the state or local Water Board and Fish and Wildlife, including CEQA analysis. You can find your local ordinance code by Googling the name of the city or county plus the word “code,” going to a website that list your local codes, and then searching for marijuana or cannabis. However not all of the online listings are up to date and you should also check your city or county’s council or board meeting agendas at their websites for the latest ordinances. Searching at the Facebook Ban Watch page is another way to find out what’s happening in your city or county. 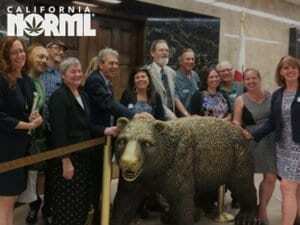 And it’s always a good idea to Contact a local Cal NORML legal committee attorney. GreenState.com has collected the laws for the 114 cities and counties in the SF Bay Area and The LA Daily News has done so for cities around Los Angeles. Also see: The rules for growing marijuana in Sacramento (city). A source for detailed, statewide local ordinance information and analysis is CannaRegs. 2/18 – The State Water Resources Control Board (State Water Board) has adopted requirements for commercial and personal medical use cannabis cultivation to reduce impacts from discharges of waste and water diversions. The State Water Board Cannabis Cultivation Regulatory Programs are now in effect and cannabis cultivators should apply online for the necessary water quality and water right permits. The Cannabis Cultivation Policy includes requirements to reduce impacts from discharges of waste and water diversions associated with cannabis cultivation activities. The Policy is available at the Water Board’s Cannabis Cultivation web page. Cannabis cultivators must obtain coverage or waiver under one or both State Water Board cannabis cultivation regulatory programs. The Cannabis Small Irrigation Use Registration Program is an expedited way to obtain a water right for cannabis cultivation activities. Many cultivators will need to obtain a Small Irrigation Use Registration by April 1, 2018. Most cultivators that have submitted Initial Statements of Diversion and Use or other water right forms to the State Water Board still need to file for a Small Irrigation Use Registration. 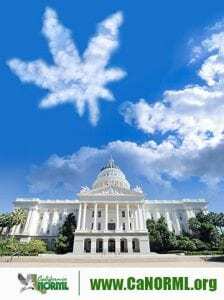 The webcast of the State Water Board’s Cannabis Program December 2017 Workshop on the Cannabis Policy, General Order, Small Irrigation Use Registration Program, and Cannabis Portal. Also, the powerpoint presentation from that workshop. Cannabis Cultivation Waste Discharge Regulatory Program. Existing enrollees under the regional Order must submit this updated Annual Reporting form annually by March 31. The CDFA online licensing system can be accessed here. New users will be required to register for an account within the online licensing system prior to applying for a license. 10/16/17 – CDFA released a checklist of steps that Californians interested in applying for medical cannabis cultivation licenses should take. 10/14/17 – The Water Board has amended its Principles and Guidelines for Cannabis Cultivation and Waste Discharge Requirements. They have also updated their cannabis portal. 9/29/17 – The State Water Resources Control Board has issued deadlines specific to cultivators that wish to submit their CalCannabis cultivation license application before January 1, 2019. If water is already being diverted under a riparian water right claim, an Initial Statement of Diversion and Use must be on file with the Division of Water Rights on or before October 31, 2017. The form is available here. The CDFA has issued a summary of comments, along with answers to the comments made to their proposed cannabis cultivation regulations. For additional information about the three licensing authorities, or to learn about updates as they become available, please visit the state’s Cannabis Web Portal. The BCC’s website has been overhauled to provide the public with new resources and updated information regarding upcoming regulations and licensing applications. 9/25/17 – The California Department of Fish and Wildlife has a helpful web site summarizing its requirements for cannabis cultivation, including LSAs. 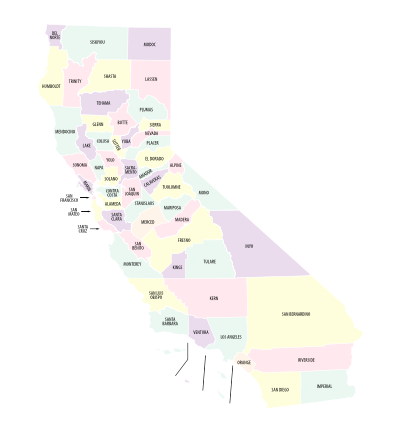 9/18/17 – The state CEQA report contains an updated list of county ordinances, plus ordinances in the top ten cities of California and laws from other states. 2/17/2016 – This page formerly listed ordinances that were in place before January 1, 2016. There are over 400 localities in California and many passed cultivation bans due to the erroneous and now-repealed March 1 deadline in the state MMRSA regulations. Arguably these are “placeholder” ordinances retaining locals’ right to license and regulate once MMRSA is fully implemented. We are working on strategies to challenge the bans, and encouraging local action to start the process of developing regulations instead. You can find your local ordinance code by Googling the name of the city or county plus the word “code,” going to a website that list your local codes, and then searching for marijuana or cannabis. However not all of the online listings are up to date and you should also check your city or county’s council or board meeting agendas at their websites for the latest ordinances. Searching at the Facebook Ban Watch page is another way to find out what’s happening in your city or county. 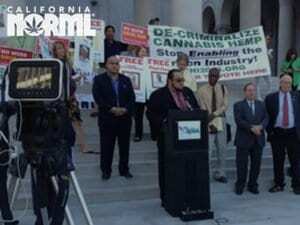 And it’s always a good idea to Contact a Cal NORML legal committee attorney. Absent a local ordinance, state law allows 6 plants on a parcel for recreational gardens (but local ordinances can drive those gardens indoors or put other “reasonable regulations” on them). For medical cannabis, caregivers can grow for up to five patients under state law. State licensing for commercial-sized medical marijuana farms is allowable under the new law, provided locals approve. 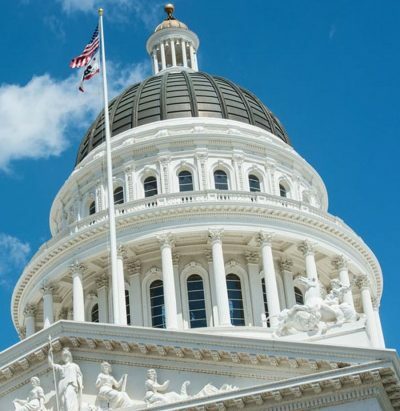 The CA Board of Equalization has issued a special notice to growers and sellers of medical cannabis telling them that they are required to register and file returns. There is no charge for registering with the BOE. Note that growers do not have to pay sales taxes on products that they sell to retail dispensaries and collectives, provided the latter have a BOE resale permit. However, they are required to report their sales to the BOE. 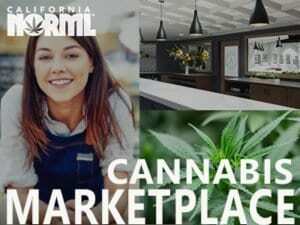 Cal NORML strongly advises all parties involved in the marijuana industry to register with the BOE if they are interested in becoming legal providers under California law. The North Coast Regional Water Quality Control Board has issued an order for cannabis cultivation and similar activities along with Best Management Practices. 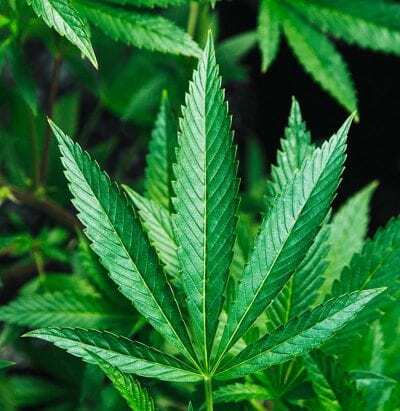 The Central Valley Water Board has also issued a general order about marijuana cultivation Read more. Cities and counties across the state have moved to establish zoning regulations for medical cannabis cultivation. In many cases, these are driven by complaints from neighbors who don’t like the sight or smell of marijuana, or by public officials with overly punitive attitudes. Public safety concerns have been raised, and there have been a few incidents of violence around marijuana gardens. While there may be a need in some cities to require greenhouses or other security measures for gardens, in rural areas and in whole counties, there is no justification for outlawing outdoor marijuana gardens. Any patient who is impacted by planned or existing local ordinances can write to CalNORML. Also see: California Association of Counties ordinance page. On May 15, 2015, facing both a Cal NORML-supported lawsuit and a voter referendum, Clearlake city council voted 5-0 to repeal their medical marijuana cultivation ban. On June 12, the city voted in a new ordinance allowing 6-48 outdoor plants, depending on the size of the parcel. DISCLAIMER: Nothing on Cal NORML’s site should be substituted for bone fide legal advice. See a list of attorneys.